Imitation and emulation are two of the most commonly researched social learning mechanisms, especially in studies of primates (Call, Carpenter, & Tomasello, 2005; Hopper et al., 2007; Horner & Whiten, 2005; Tennie, Call, & Tomasello, 2009). Several definitions of imitation and emulation exist in the literature. Here, we define emulation as the copying of the results, or environmental outcomes, of demonstrations (i.e., the products of behavior), and imitation as the copying of the actions of a demonstrator (i.e., the behavioral processes leading to the products; Call & Carpenter, 2002; Tennie, Call, & Tomasello, 2006; Tomasello & Call, 1997; Whiten, Horner, Litchfield, & Marshall-Pescini, 2004; Whiten, McGuigan, Marshall-Pescini, & Hopper, 2009). The differences between imitation and emulation may have profound implications for the capacity and scope of cultural transmission. In particular, it has been proposed that the capacity to reliably copy the actions of a demonstrator could make cumulative culture, technology, and complex cultural behaviors possible, as is the case in humans, while nonhuman ape cultures may be better referred to as “traditions” (Galef, 1992; Tomasello, 1996). A reason for this difference is that emulation learning may be too inaccurate for a cultural ratchet to operate (Richerson & Boyd, 2005; Shea, 2009; Tennie et al., 2006, 2009; Tomasello, 1999; cf. also Whiten & van Schaik, 2007). In fact, while imitation potentially results in the preservation of both process and product, with a close one-to-one relationship between the two, emulation, by focusing only on the product or environmental effects, may lead to a failure in the preservation of the processes (Tennie et al., 2009). To help understand the distinction between emulation and imitation, it is useful to consider a concrete task and to contrast both types of social learning with the learning of individuals outside a social context. For example, consider the specific task of tying a certain type of knot, and imagine that individuals use different learning mechanisms. Emulators and imitators have access to information provided by a knowledgeable individual they observe, while pure individual learners do not have socially mediated information to guide their actions. If an individual is an emulator, she might have information about the form of the knot when it is completed, but she is “blind” to the process that produced the knot. To arrive at the desired knot, the emulator may perform a series of actions with the rope without guidance and eventually “compare” her result with the observed knot. By comparison, if the individual is an imitator, she has additional information on the intermediate behavioral steps (more or less fine-grained) needed to produce the knot. She could use this information to guide her actions. Finally, pure individual learners have neither type of social information available. They rely only on self-evaluation of the effects that their own actions achieve. In what follows, we present an individual-based model that investigates the consequences of using imitation, emulation, and pure individual learning. The model is based on the core idea that social learning can be represented as a search for an optimal behavior that is constrained by different kinds of information. Crucially, our approach differs from most other theoretical models, which have investigated cultural dynamics using mathematical tools developed in population genetics and epidemiology, which typically treat the transmission of cultural traits as analogous to the transmission of genetic material (starting from Boyd & Richerson, 1985, and Cavalli-Sforza & Feldman, 1981). Such models tend to focus on dynamics at the population level, whereas behavior at the individual level—that is, with respect to social learning processes—is only loosely described. In these models, “cultural transmission” is usually a process that involves a simple “transfer” of a behavior between individuals, with some probability attached to this transfer (see, e.g., Nunn, Thrall, Bartz, Dasgupta, & Boesch, 2009). Moreover, very few quantitative models have explicitly considered how different social learning mechanisms can influence the diffusion of a behavior in a population. In one noteworthy exception, Kendal, Kendal, and Laland (2007) used a mathematical model to distinguish between stimulus enhancement and observational learning. In our model, individuals solve various tasks described in abstract spaces that represent behavioral processes (actions), environmental outcomes from the behavior (results), and benefits of the actions. We refer to each of these as actions space, results space, and benefits space, respectively. Depending on the learning mechanisms at their disposal (imitation, emulation, and pure individual learning), individuals have differential access to the information conveyed in these spaces, with imitators using both actions and benefits spaces, emulators using both results and benefits spaces, and individual learners using only benefits space. We illustrate how differently shaped spaces represent different classes of tasks, and with our model, we show that these classes provide different advantages for the three learning mechanisms that we investigated. In an extension of the main model, we consider chains of individuals that learn iteratively from one another. This model draws inspiration from the linear transmission chain method used in cultural learning research, and we therefore call it the transmission chain model (Mesoudi & Whiten, 2008). The model allows us to check whether an initial optimal behavior can be transmitted and maintained across generation using either imitation or emulation. Moreover, since in the iterative learning process the initial optimal behavior can get “lost,” we can test the effect of suboptimal demonstrators on the two social learning mechanisms. In the last section, we discuss the relevance of our results to cultural evolutionary modeling, current experimental studies, and the relationship between social learning mechanisms and the evolution of human culture. The actions space has a correspondence in the results space (see Fig. 1, right panels). Here, for each point in the actions space (i.e., for each possible behavior) a result may (or may not) be present, where a result refers to an environmental modification that is similar to the observed one. Depending on the task at hand, some fraction of the environmental modifications may fail this criterion, which is why not all behaviors lead to results. Again it is useful to think of tying a knot: Some combination(s) of actions can bring the rope to a physical configuration that is perceived by the individual as similar to the observed knot, while other combinations of actions leave the rope in a configuration perceived as nonmatching, and thus not considered to be a result. The actions space and results space have a final correspondence in the benefits space (see Fig. 1, left panels). Here, each behavior that produces a result also produces a net benefit. Note that the same result can have different benefits, depending on the specific combination of actions used to obtain it. The underlying logic is that some action combinations may be more effective than others, even if the result appears to be the same. These differences in benefits could arise because one action is less costly than another, as might occur if actions vary in time or energy needed for completion. Consider, for example, printing out several pages from a long word-processing document versus writing them out by hand. The hand-written document would take much longer to produce and would be of lower quality, resulting in higher costs and lower benefit. In what follows, we simply use the term benefit to refer to net benefits—that is, benefits minus costs. Together, the actions space, results space, and benefits space form the overall search space in which individuals search for optimal behavior. Individuals with different learning mechanisms access different spaces when solving problems—and thus can be “blind” to other spaces. Pure individual learners have only the benefits space at their disposal. Social learners can additionally make use of information produced by a demonstrator in the actions space (for imitators) and in the results space (for emulators). Thus, the three learning mechanisms differ in their access to information conveyed by different spaces. To illustrate how the different learning mechanisms can give different advantages to individuals, we conceived three experimental conditions that correspond to different classes of tasks. We call the conditions the smooth task, peaked task, and hidden plateau task. In all three conditions, there is a single optimal behavior—that is, a single point at which individuals obtain maximum benefit (b max = 1), as shown in Fig. 1. In the smooth task (see Fig. 1a–b), action combinations lie on a linear gradient of benefits. The closer an action combination is to the single optimum, the higher the benefit that this combination gives to the individual. Furthermore, all action combinations that give benefit to individuals produce the same result. Such tasks might characterize behaviors for which, first, even if a best possible solution exists, it is only of relative importance to perform exactly the highest-rewarding combination of actions, and second, similar action combinations give similar benefits to individuals. An example of a smooth task could be learning to catch a prey. The result (the prey caught) is always the same, but different action combinations may be more or less effective (e.g., involving more or less effort). Individuals may copy how knowledgeable demonstrators hunt, but they can also try different action combinations and possibly self-evaluate the benefits obtained. In the peaked task (see Fig. 1c–d), only one single combination provides results as well as benefits. Unlike the smooth task, performing action combinations close to the single optimum in the peaked task does not produce any result and provides no benefit to the individual. For this family of tasks, it is important to perform the exact combination of actions. Such tasks might characterize complex combinations of behavior involved in highly technical activities, where slight deviations from a specific protocol lead to a failure in producing a result. To further elucidate the features of a peaked task, consider again the example of tying a knot. For some knots, if one performs action combinations that are similar but not identical to the correct combination needed to tie them, these will produce neither any usable result nor any tangible modification of the environment. In the third and last condition, the hidden plateau task (see Fig. 1e–f), only the single optimal combination provides benefits, but performing action combinations similar to the single optimal one produces results that appear to be correct. Such tasks might again represent highly technical behavioral activities, but in this case, a single correct combination occurs among closely related behaviors that produce comparable results. Once more, we can refer to the knot example: For some type of knots, if the individual performs action combinations similar to the correct one, she can obtain some physical configuration of the rope similar to the knot of interest. Even if ineffective as a knot (i.e., benefits are zero), the result gives some indication that it is “close” to the optimal behavior. Individuals perform searches with the aim of finding the optimal behavior on the search space. At each time step, an individual may modify her behavior by moving in the search space to adjacent actions combinations or may retain her previous behavior. We model this search as a two-stage process. In the first stage, a possible modification of behavior is selected using the following rule: With respect to the current position of the individual, one of the two adjacent horizontal cells (action X) or one of the two adjacent vertical cells (action Y) is randomly selected as a possible new action, which would thus lead to a new behavior. This modification rule makes two assumptions: Individuals can change only one action variant at a time (either X or Y) and do not have access to all the possible action variants of this type in the whole space, but only to a subset of two neighboring variants. The underlying rationale is that individuals likely experiment with actions that are somewhat similar to those they performed most recently. Note that this rule holds for all types of learners, so we are assuming a general “innovation” rule that underlies all types of learning. In the second stage, individuals accept or discard the action modifications from Stage 1. If they discard the new action, they stay in the same point of the action space they were in before Stage 1—that is, their behavior does not change. If they accept the new action, they will show a different behavior in the next time step. Three specific learning rules are used, depending on the learning mechanisms that individuals have at their disposal. Social learners make this decision by exploiting information from an “ideal” demonstrator who is performing the correct behavior at b max on the space. Individual learners accept a new action if it does not reduce the benefit they were obtaining; otherwise, they discard the new action. Thus, they always accept beneficial or neutral modifications. The assumption is that such learners are able to quantify the net benefits of different actions and compare these benefits through time. Imitators base their decisions on how well the actions match the actions performed by the demonstrator. If they are already performing one of the demonstrator’s action variants, they accept the modification only if they would then keep performing the same variant; otherwise they discard the newly selected action. For example, if an imitator already correctly performs the demonstrated action X (but not the action Y), she will not change her position with regard to the action X, but will accept any modification on the action she uses from the action Y. If imitators are not performing any of the two demonstrator’s action variants, they always accept every modification. The assumption underlying this rule is that imitators initially lack knowledge of how to perform an action, but they can compare their actions with those of the demonstrator. Emulators base their decisions on whether the result is obtained (i.e., the gray areas in the right panels of Fig. 1). In contrast to imitators, emulators are blind to the actions of the demonstrator, but they do have information on the result. If emulators are already obtaining the demonstrator’s result, they accept the proposed modification only if they keep obtaining the same result; otherwise, they discard it (in a way logically comparable to imitators). In contrast, if they have not yet obtained the demonstrator’s result, they always accept modifications. The assumption is that emulators do not know how to obtain a result, but they know how well their result matches the demonstrator’s. For each of the three conditions, we tested 104 individuals for each learning mechanism (imitation, emulation, and pure individual learning), giving 3·104 simulations for each condition, for a total of 9·104 simulations. At the beginning of the simulation, each individual is placed randomly in the actions space (i.e., she has a random behavior), and the simulation runs until the individual reaches the behavior that produces the maximum benefit (b max = 1). We collected output on the individual benefits through time and on the time that it took the individual to reach b max (i.e., the time step in which she performed the optimal behavior). We also recorded the number of time steps in which social learners made use of the benefits space information rather than using the information provided by the demonstrator (results or actions). In a second set of simulations, we sketched a possible extension of the main model that simulates multiple generations of individuals (a transmission chain model). We focused only on two conditions (peaked task and hidden plateau task) and on the two social learning mechanisms (imitation and emulation), without considering pure individual learning. At the beginning of the transmission chain simulation, a single individual with random behavior learns from a knowledgeable demonstrator who shows the optimal behavior. After a certain number of time steps the learning phase ends, and the observer, regardless of her behavior, now becomes the demonstrator for a newly introduced naïve individual. Unlike in the main model, the demonstrator in the transmission chain model may thus show a suboptimal behavior. In this case, if the observer succeeds in copying the demonstrator’s behavior without reaching b max = 1 (meaning that the behavior is suboptimal), the observer continues to explore the search space using individual learning, until she reaches b max = 1 or the learning phase ends. We iterated this process for 100 generations, varying the length of the learning phase from 100 to 1,000 steps (incremented in units of 100) and comparing the results of imitation and emulation for the two conditions. This involved a total of 40 simulations (2 conditions X 2 learning mechanisms X 10 sets of learning steps), which we replicated 1,000 times. We collected output on the benefit at the last generation and on individual benefits through the generations. In the smooth task condition, the effectiveness of the three learning mechanisms was similar in terms of average benefits through time and in the average length of time required to reach b max (Fig. 2a). Pure individual learners exploited the benefits gradient to orient their search for optimal behavior, and social learning appeared to provide no advantages relative to individual learning. Thus, we found that social learners generally behaved as individual learners, meaning that they made use of the benefits space rather than the information (actions or results) provided by the demonstrator. Imitators used the benefits space in 77% (± 18 SD) of the time steps, showing that in the majority of cases, social knowledge was not informative in their search for the optimal behavior. Emulators used the benefits space more often than imitators did (98% ± 3 SD). In contrast to the smooth task condition, in the peaked task condition, imitation outperformed both emulation and pure individual learning (Fig. 2b). In this task, the benefits and results spaces did not contain information useful to emulators and individual learners; hence, emulators and individual learners basically performed a random search, resulting in a longer average time to find b max. Imitators were advantaged because they exploited information on the actions of the demonstrator to orient their search. Finally, in the hidden plateau task, both types of social learners outperformed pure individual learners (Fig. 2c). Imitators were again advantaged over individual learners, as seen in the peaked task. In the hidden plateau task, emulators also experienced advantages relative to individual learners, but they benefited in a different way from imitators. While imitators gained advantages by homing in on the specific actions to use, emulators used the “plateau” of close results to orient their search (see Fig. 1f). Importantly, this plateau is “hidden” to individual learners and imitators. To understand the differential performance of imitators and emulators, it is useful to think about how individuals with different learning strategies view the spaces in terms of attractors (Fig. 3), and specifically, how they use information to move through the space. Imitators move in the space as if they can attach to the “cross-hairs” of a target. Once they land on a correct action, they move randomly along the axis defined by this action until they reach the other correct action (Fig. 3a). In contrast, the emulators’ attractor is the area of the space in which they obtain the demonstrator’s result (Fig. 3b). Once in the plateau, they move randomly on the plateau until they find the optimum. As seen in Fig. 3, the relative size of the plateau is likely to determine the effectiveness of emulation relative to other learning mechanisms. To assess this effect, we ran additional simulations of emulators in the hidden plateau task in which we varied the dimensions of the results plateau. Results are shown in Fig. 4. If the area is relatively small (as in the peaked task), the plateau is difficult to find, reducing the effectiveness of emulation. Similarly, if the plateau is relatively large (as in the smooth task), emulation is also less effective, because finding the plateau does not provide much useful information to the agent. Finally, for intermediate sizes (as in our hidden plateau task), emulation can be as effective as imitation. In the transmission chain model, the learned behavior was iteratively transmitted across generations of individuals. Our simulation of this process produced results that were largely congruent with those found in the main model. Thus, in the peaked task condition (Fig. 5a), chains of imitators outperformed chains of emulators. Given a sufficient duration of the learning phase (approximately from 500 steps), imitation was effective in transmitting the initial optimal behavior across generations. Emulation was never as effective as imitation in the peaked task, and, even for relatively long learning phases (e.g., 1,000 steps), chains of emulators never achieved the optimal behavior at the end of the iterative process (i.e., the average final benefit never reached 1). In the hidden plateau condition (Fig. 5b), however, the two social learning mechanisms were equally effective in transmitting the optimal behavior across generations, provided an adequately long learning phase (i.e., greater than about 500 steps). The duration of the learning phase has two effects on learning dynamics. At the level of the single individual, short learning phases translate to lower probabilities to acquire the correct behavior from the demonstrator. At the level of intergenerational transmission, however, this effect is amplified by the fact that, across generations, naïve individuals have suboptimal demonstrators. The two effects can be shown for the case of imitation in the peaked task condition (Fig. 6). Learning phases of 100 and 300 steps produced an initial disadvantage at Generation 1 (effect at individual level). This disadvantage was amplified across generations. By comparison, for the case of a learning phase of 500 steps, the optimal behavior is maintained across generations. Our results illustrate how different learning mechanisms may provide individuals with different advantages, depending on the type of task at hand, and they suggest that different behavioral diffusion dynamics can be generated under different learning mechanisms. Specifically, real-world tasks comparable to our smooth task can be solved effectively using pure individual learning, since the benefits gradient provides a way to orient search behavior. In nonhuman apes, such a situation might be found in gorilla “nettle feeding” behavior, which involves neutralizing stinging hairs on nettle leaves (a plant food source). The task space here is indeed likely to be smooth: given extended practice, many actions can be tried, their relative effectiveness evaluated, and individuals can thus learn how to optimize the process of neutralizing stinging hairs efficiently. We therefore expect that individual gorillas adjust their actions so that individuals (and even populations) converge on the same behavior. Indeed, even though social learning of an imitation type was first proposed as a candidate to equip subjects with the necessary skill (e.g., Byrne & Russon, 1998), it was recently found in captive settings that pure individual learning (likely together with genetic predispositions) is a more parsimonious explanation (Tennie, Hedwig, Call, & Tomasello, 2008). In contrast, our findings indicate that imitation is especially useful for solving peaked tasks. Such tasks not only require the chaining of correct actions (in a correct sequence), they also provide little or no feedback for performing behaviors other than the optimal one (here, we assumed that no feedback was provided). Individuals thus cannot orient their search in any way other than by copying the actions of a demonstrator. In real-life human culture, many tasks are likely to fit this description, including using cognitively opaque artifacts, learning a gestural language, or performing correct performances of religious rituals or dances (see Tennie et al., 2009). Finally, emulation can provide advantages in situations analogous to our hidden plateau tasks, where emulators may take advantage of the fact that performing actions similar to the correct one produces a result. Even if the result is ineffective (i.e., the benefit is zero), the plateau of results can give emulators guidance toward achieving the optimal behavior. These results are confirmed in an extension of the model (the transmission chain model) in which we considered the effectiveness of social learning mechanisms when individuals learn iteratively across generations. In particular, imitation can maintain an optimal behavior through generations, regardless of which kind of tasks is at hand (peaked task or hidden plateau task), while emulation, even when individuals can learn for relatively more time steps, is unable to preserve good solutions to problems presented by peaked tasks, which are frequent in human culture (see above). Different social learning mechanisms are rarely differentiated in cultural evolution models (Mesoudi, 2009), yet our results show that specific dynamics are generated through interactions of the tasks and learning mechanisms used. Modeling social learning as a general mechanism of behavioral transfer can hide this important interplay. Including specific modeling of social learning mechanisms (as done here) seems advisable in order to help distinguish between social and asocial learning diffusion dynamics (Franz & Nunn, 2009; Hoppit, Boogert, & Laland, 2010; Kendal et al., 2007; Kendal, Kendal, Hoppit, &Laland, 2009; Reader, 2004), as well as for models explicitly dedicated to the study of social learning in animals or, more broadly, to the evolution of cultural capacities (Nunn et al., 2009; van Schaik & Pradhan, 2003; Whitehead, 2007). The case of human culture can be different, because the extensive use of imitation and teaching (Gergely & Csibra, 2006; Tomasello, 1999) can render social learning reliable enough to generally interpret behavioral diffusions as genuine “transmission” processes. However, it could also be that a selective switching of social learning mechanisms could generate different dynamics in humans. For example, the distribution of artifacts in the archeological record suggests a need to explain patterns not only in terms of population-level biases (e.g., Mesoudi & O’Brien, 2008) but also in terms of different mechanisms of learning at the individual level (Tehrani & Riede, 2008). Our model could provide new insights to the results of animal behavior studies concerning the distinction between imitation and emulation. In particular, the results of our model help to better define which kind of tasks may give rise to an imitative strategy. Many scientists agree that the “difficulty” of a task can represent an important variable in determining which social learning mechanism an individual will potentially use, with “easy” tasks being readily solved by individual learning but “challenging” tasks being better solved by imitation (see Tennie et al., 2009; Whiten et al., 2009). In our model, a “challenging” task is represented by the peaked task, and the challenge arises from the absence of feedback for performing behaviors similar to the correct one. For animal behavior studies, this means that experimental tasks with these particular features are needed to determine whether a species can and does use imitation. Successful social learning in tasks with smooth structures or hidden plateau structures could be explained with mechanisms other than imitation, while, on the other hand, the absence of imitation in solving those tasks can be due to the search structure rather than to an intrinsic limitation of the species’ imitative ability. This is not to say that a species capable of imitation would only imitate in tasks that have this type of structure, but might instead use this learning strategy in a wider range of contexts. For example, humans imitate when performing types of tasks for which other strategies would be equally useful, or even better (see above and Horner & Whiten, 2005; Tennie et al., 2006). This phenomenon has recently been dubbed “over-imitation” (Lyons, Young, & Keil, 2007), and it seems to hold cross-culturally (Nielsen & Tomaselli, 2010). Finally, our results offer some considerations regarding the relationship between general intelligence, the rarity of imitation in primates, and the evolution of culture. In a peaked task, the ability to reliably copy the actions of a demonstrator is, in our model, much more effective than emulation and individual learning. Humans face this kind of task repeatedly throughout life and readily use imitation to solve them, while this class of tasks is probably uncommon in other primates (Tennie et al., 2009). Hence, the problems that nonhuman primates confront in the wild are characterized by an interaction between genetic predispositions and environmental feedback that may effectively orient their “search” without the need to copy the specific actions of a demonstrator (Tennie et al., 2009, 2010; van Schaik & Pradhan, 2003), and the same may have been true of some early hominin artifacts (e.g., handaxes; cf. also Richerson & Boyd, 2005). Perhaps nonhuman primates do not imitate because socio–ecological conditions have not favored imitation; other learning mechanisms available to them suffice. However, when solutions started to be invented to problems in the form of peaked structures and provided marked fitness advantages to individuals, selection for imitative learning likely increased. This suggests that the initial diffusion of task solutions with the form of peaked structures created an environment that boosted the pressure to develop imitative skills (i.e., niche construction effects; see Laland, Odling-Smee, & Feldman, 2000). 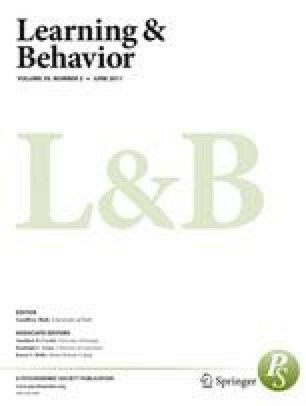 Widespread imitation in a given population could be used to support a process of cumulative culture that, in turn, opens up new fitness landscapes involving technological innovations that are likely to create “complex” solutions to adaptive problems, perhaps in the form of peaked structures, which then favor greater imitative learning ability. It is important to be clear about several simplifications that we made in this first investigation of the modeling framework. First, we assumed that for each condition, only a single optimal behavior existed (for a coverage of multimodal adaptive landscapes in cultural evolution, see Boyd & Richerson, 1992; Mesoudi, 2008). Second, we assumed a “perfect demonstrator” who, from the beginning and reliably, performed the optimal behavior (but note that in the transmission chain model this behavior could get “lost” through the iterative process, and so this model is relatively free from such problem). Third, we assumed that all learning mechanisms have the same implementation costs. As a final issue, it is important to stress that we deliberately omitted several psychological aspects that influence learning processes, including memory and cognitive constraints. The two-stage process of behavioral modification that we used should not be viewed as an accurate model of real behavioral learning processes. For example, we are not claiming that real-life imitators actually perform novel behaviors quasirandomly and that they then “compare and discard” them if different from a demonstrator’s behavior. We consider our approach as a modeling device (and thus necessarily and intentionally minimalistic) to illustrate the aspect we stated in the introductory section—namely, that social learning can be interpreted as a search for an optimal behavior constrained by different kinds of information in the social context and, moreover, that different tasks can be modeled as information spaces that have different shapes. In summary, our model illustrates a new framework for interpreting social learning mechanisms that could hopefully be incorporated in cultural evolutionary modeling. The model also suggests directions for new experiments, shows that the structure of a task is crucial for the interpretation of experimental outcomes, and proposes a framework to characterize different experimental tasks. Moreover, the highlighted interplay between a learning mechanism’s effectiveness and the features of different tasks suggests some considerations on the relationship between general intelligence, the ability to imitate, and the evolution of cultural capacities. We thank Stefano Ghirlanda, Heinz Gretscher, Pierre Jacquet, Luke Matthews, and Joanna Rifkin for discussion of these and related issues. Correspondence related to this article may be sent to A. Acerbi, Centre for the Study of Cultural Evolution, University of Stockholm, Lilla frescativägen 7B, 10691 Stockholm (e-mail: alberto.acerbi@gmail.com).